Yaki Taco serves up Japanese-inspired rice bowls and tacos in NYC. Favorite menu items include Teriyaki Nachos, Ginger Chicken Tacos, and Panko Fried Fish Rice Bowl. 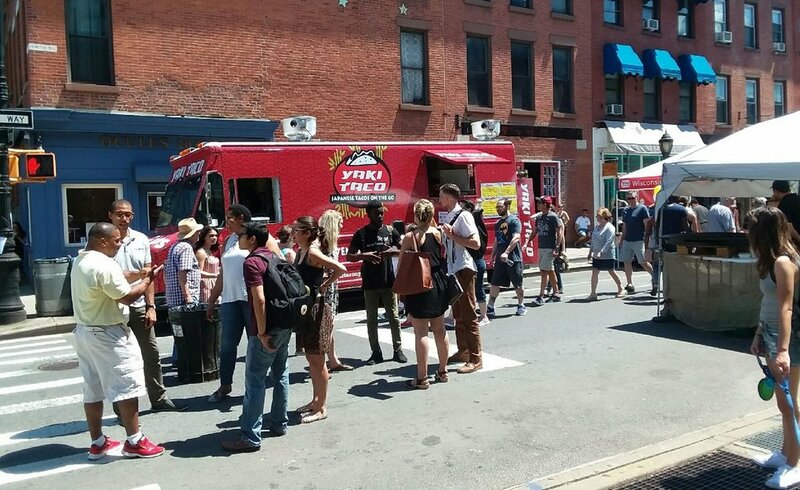 You can find Yaki Taco most often in Midtown Manhattan at some of the food truck hotspots, including 46th Street / 5th Avenue and Broadway / 55th Street.